You’ve built a successful business. Now what? The Value Builder System was designed by John Warrillow, the author of international bestseller, Built to Sell: Creating a Business That Can Thrive without You. After analyzing more than 30,000 businesses, John discovered that those companies with a Value Builder Score of 80 or more received offers that are higher than the average business. 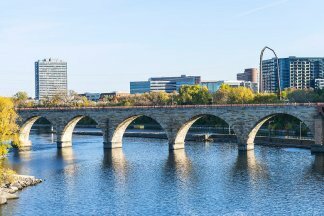 What would you have to change to make your business attractive to an acquirer? What are hidden assets that would make your business irresistible to a buyer? Are there any silent killers that could derail the sale of your business? 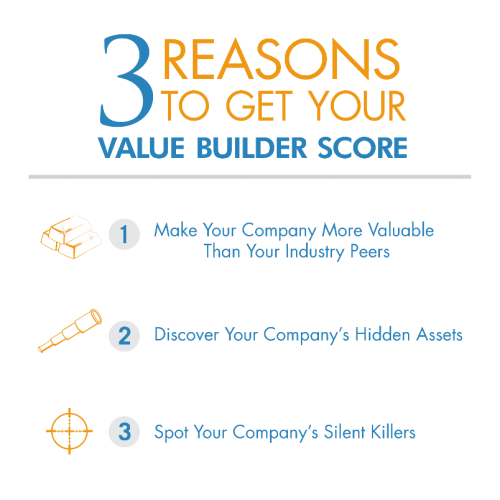 Whether you want to sell soon or just know you’re building a valuable asset for the future, getting and improving your Value Builder Score gives you a quantifiable return on your investment of time and effort. The questionnaire is absolutely free, confidential and will only take an estimated 13 minutes of your time.